Sacramento, CA’s Dance Gavin Dance has unveiled a new track from their forthcoming release Happiness on their MySpace page. Stream the song, “Don’t Tell Dave” now at www.myspace.com/dancegavindance. 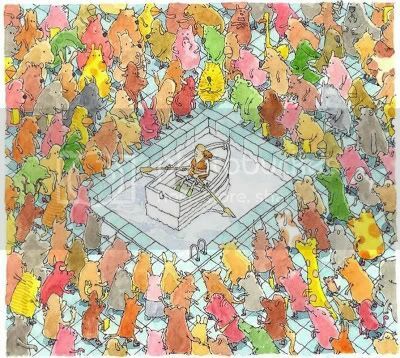 With combined sales of over 50,000+ units in the US, over 16,000,000 total plays on MySpace and a successful headlining tour behind them, Dance Gavin Dance’s 4th album for Rise Records is a progression and it clearly shows. They are able to play with just about any band out there and are often referred to as a “bands band”. Blending a myriad of genres into their songs, Dance Gavin Dance is always pushing the envelope, while somehow maintaining a sense of melody and urgency. Featuring artwork from famous Swedish artist Mattias Adolfsson, Happiness is their proudest moment and it clearly shows. Happiness will be released on June 9th. That same day, the band will appear at a CD signing at Dimples Records in Sacramento, CA, as well as playing a free CD Release Party show at Club Retro in Orangevale, CA. This will be followed by a run of dates with The Audition, Closure in Moscow and Endless Hallway. Starting June 26, fans can catch Dance Gavin Dance on the SmartPunk stage on the Vans Warped Tour. 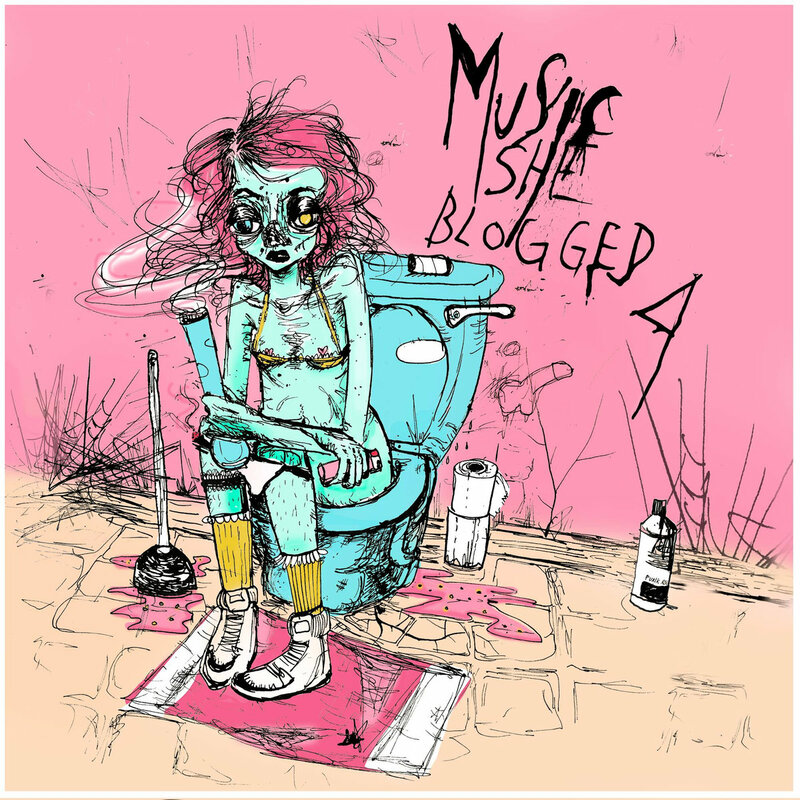 Blood Guts Bruises Cuts may not be for the faint of heart, but as the new album title by The Dudes, ears everywhere should take notice and tune in. Out on June 2nd via LOADmusic/EMI, Blood Guts Bruises Cuts stays true to the rock and roll soul sound that has propelled The Dudes out of the Calgary independent music scene and into the national spotlight. Sharing tour stages with the likes of Pride Tiger, Two Hours Traffic and Ladyhawk, The Dudes also earned marquee status at events including JunoFest, Sled Island, and V-Fest. They’ve been voted Calgary’s favourite band of 2006, 2007, and 2008 by FFWD readers, landed prominent spots in film (‘Freezer Burn’ starring Crispin Glover and Tom Green), television (‘Heartland’, ‘House Party’), and commercial use (Rogers mp3 phone ad). 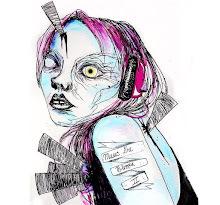 Showing enormous artistic growth, Blood Guts Bruises Cuts, produced by Jeff Dawson (Daniel Powter, State of Shock) and mixed by Mike Fraser (Franz Ferdinand, AC/DC), introduces the perfect emotional blend of Al Green and Flaming Lips – soul music and early 1990’s distortion. We just call it awesome. Hopeless Records is proud to announce that All Time Low has just confirmed a string of dates on the Main Stage of this summer’s Vans Warped Tour. The band will be touring in support of their highly anticipated forthcoming release, Nothing Personal, in stores July 7th. Having just recently finished a tour with Fall Out Boy, the Maryland foursome will be jumping on Warped Tour in Oceanport, NJ, and staying on it until the end in Los Angeles, CA. Prior to these dates, they will do a short headlining tour with We The Kings and Cartel, hitting several cities on the east coast. The press reaction to All Time Low thus far in their career has been fantastic. 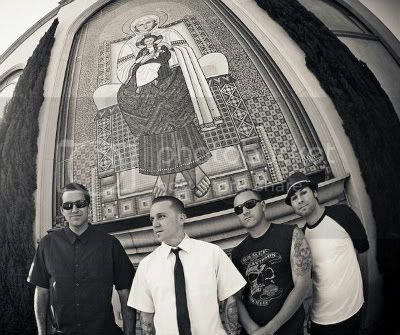 Their debut full-length, So Wrong, It’s Right landed them a spot in Alternative Press’ list of “100 Bands You Need To Know” in 2008, and they were named “Band of the Year” by the magazine in 2009 while making their second appearance on the cover. Absolute Punk, who proclaimed that All Time Low was “your new favorite pop-punk band”, also praised the album, which has scanned over 180,000 copies since its release. 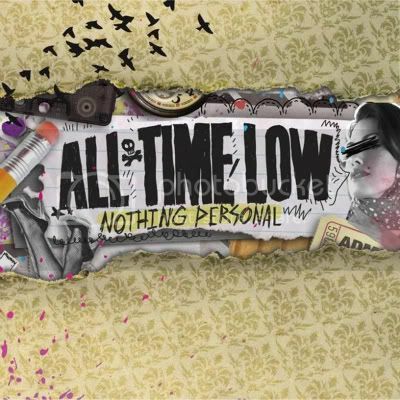 The first single off Nothing Personal is “Weightless,” an immediately catchy pop rock hit that received over 50,000 streams in less than 24 hours when it initially premiered. 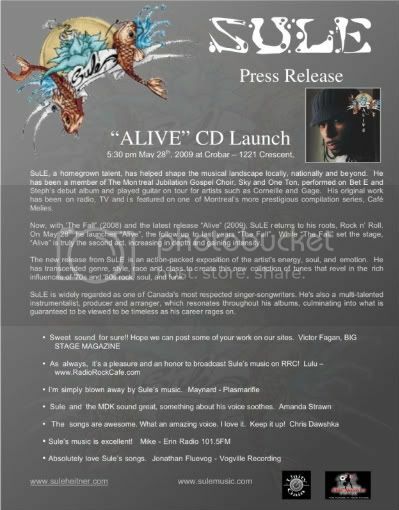 The track has scanned over 60,000 copies to date. The clip was filmed by the Darlings and edited by Steve Guerrero. Catch The Darlings opening for Street Dogs June 2nd in Victorville, CA and for Strung Out June 12 in Las Vegas, NV. The band will also play an all-ages KROQ “Locals Only” show at the Roxy in Los Angeles, CA June 25th. SAID THE WHALE: tour! treats! album teaser! Vancouver indie darlings Said The Whale have their fins set on overdrive as they release their next single “The Magician (Camilo)”, prepare for a summer tour, and press a limited edition run of their 7” that features the single as well as three other tracks: "Strong Swimmers", "Love is Art" and "Upset Her". After building a solid fanbase in Vancouver’s independent music scene Said The Whale have received a shout out from Perez Hilton, features on YouTube and MySpace Music for their video “This City's A Mess”, landed some stellar slots at Junofest and Vfest, and opened for friends including Mother Mother and City and Colour. Fans can expect their full length album 'Islands Disappear' this fall on October 13 via Upper Management Management Recording Co/EMI and produced by Howard Redekopp (Tegan and Sara, Mother Mother, Hannah Georgas) and Tom Deobrzanski (Hey Ocean, Lotus Child). In the meantime, check out the single, go see them play, and count your lucky stars if you’re lucky enough to get your hands on a vinyl copy. Hull speed ahead! “Just when you think cynicism has completely permeated the indie scene, a band pops up to make you optimistic again. Enter Said The Whale, a group of twentysomethings full of youthful energy unseen in this country since Sloan circa Twice Removed." RISE RECORDS is excited to announce the signing of pmtoday. They will head in the studio with Kris Crummett in September. Look for an early 2010 release. 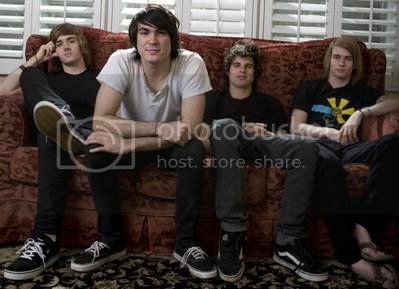 In the meantime, enjoy their songs from their demo EP. 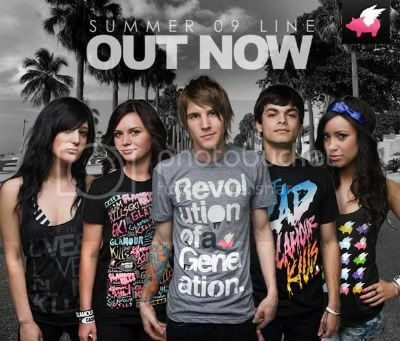 FEATURING GIRLS/GUYS SWIMWEAR, NEW TEES, 6 TANKS FOR GUYS AND GIRLS, BAGS, SANDALS AND COLLABORATION TEE WITH PETA2!!! Summer has arrived, so there’s no time like the present to head over to www.glamourkills.com to stock up on their brand new summer gear, including bikinis, boardshorts, tanks, sandals, bags and loads of new tees, including a collaboration with PETA2. 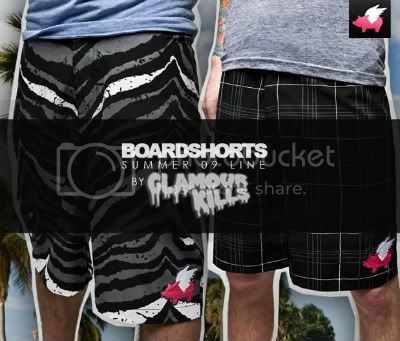 Check out the story behind Glamour Kills: http://www.glamourkills.com/the_story. 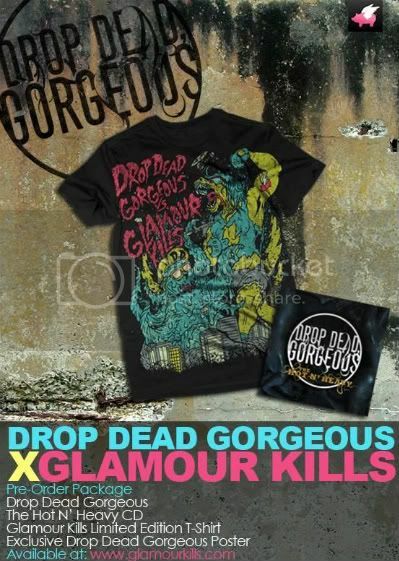 Glamour Kills: Where Music & Fashion Collide. All good things must come to an end... isn't that how the saying goes? Unfortunately one of my fav. bands I've come across writing this site is no longer... RIP 20 Pound Shovel! Stay tuned for a review of The Cheap Shot Artists! 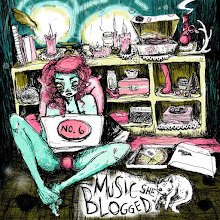 MySpace the world’s premiere social portal, in partnership with MySpace Records and Toyota Motor Sales (TMS), USA, Inc., today announced the official launch of Rock the Space, an exclusive competition encouraging unsigned bands or solo artists to submit an original song for the opportunity to score a recording contract with MySpace Records, the company’s full-service independent label. 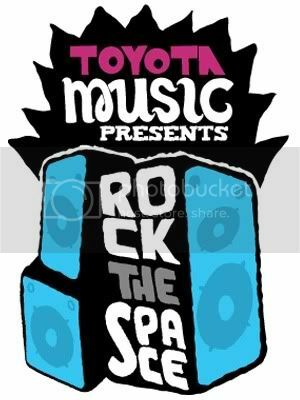 Beginning today through July 1, 2009, aspiring artists across the country can enter to win the chance of a lifetime by visiting Toyota’s MySpace Music profile for submission details and contest rules http://www.myspace.com/toyotamusic. To enter the Rock the Space competition artists must submit an original mp3 demo. 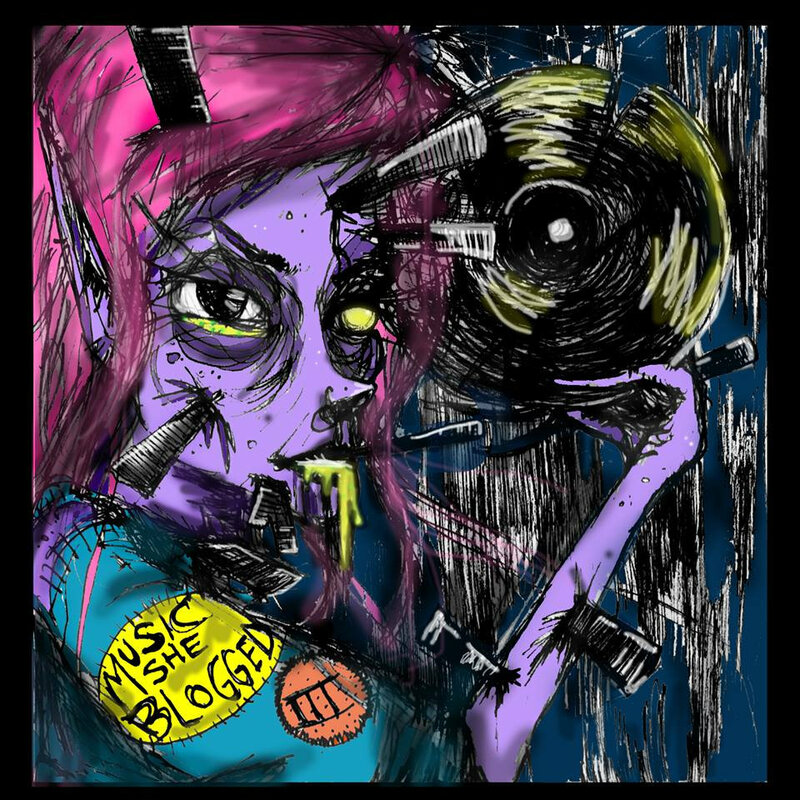 All entrants will have the opportunity to create a viral music widget with an easy embed code to help them spread their music across MySpace and the web. MySpace users can share in the experience by adding the music widgets to their profiles and posting comments on the Toyota Music profile. 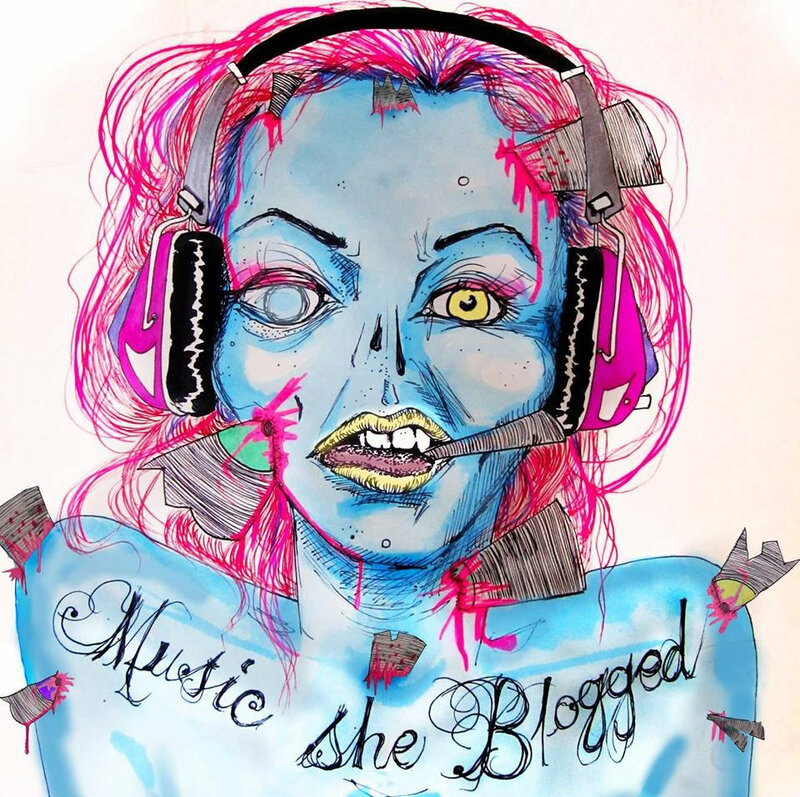 In July, MySpace Records will select five finalists who will be featured prominently on the Toyota Music profile and the MySpace community will vote to select the winner. The five finalists will receive a media allocation to promote themselves with My Ads targeted advertising throughout MySpace. The Rock the Space winner will be announced in September and will receive a recording contract as well as a $10,000 musical instrument prize package provided by Fender, the world’s leading guitar manufacturer. The winner’s song will also be available for download on the MySpace Music Home Page. The four runners-up win a MySpace Records Development Deal friends package. Hi-Hat Recordings artist Spookey Ruben returns to delight us once again with his knack for colouring outside current musical trends: June 2nd marks the release of Mechanical Royalty (via Sonic Unyon), an album that skips merrily through the garden of musical genres, paying tribute to everything from Yacht Rock to death metal. At the heart of the album lies the seven chapter prog rock epic 16min title track where Spookey Ruben tackles a genre forever riddled with ridicule. With its 12-keyboards-and-a-robe-and-a-30-ft-dragon-on-stage guise, Spookey, historically attracted to projects that absolutely don't fit in the hipster category, manages to tantalize once again with his latest pièce de résistance. "You can't help but recognize Spookey Ruben as eccentricity in its purest form." Mechanical Royalty (a pun, alluding not only to the album cover and storyline of the title track, but also to a music business term) is an intense 70s/80s rollercoaster ride, but its Spookey's point of view that makes it feel inviting and brand new, consistently dishing up his excitement for music in his own special heartfelt way. In addition to his musical prowess, Spookey is the mastermind behind ‘Spookey Ruben’s Dizzy Playground’ (AUX.tv/Exclaim.ca), an ongoing series of short films guest starring notable musicians like Brendan Canning (Broken Social Scene), John McEntire (Tortoise/The Sea and Cake), Melissa Auf Der Maur (Hole, Smashing Pumpkins). Upcoming episodes will include Owen Pallett (Final Fantasy), Brian Borcherdt (Holy F*ck) and Leslie Feist (Feist). On top of all this good stuff Spookey Ruben is hitting the road for a not-to-be-missed tour. mewithoutYou - It's All Crazy! It's All False! It's All a Dream! It's Alright. Reel Big Fish, voted Southern California’s best-looking and most radical band of cool dudes in a recent nationwide poll (OK we made that up…) will be releasing a new full length DVD this summer, titled, appropriately enough, Reel Big Fish Live! In Concert! Reel Big Fish Live! In Concert! will be released July 21 on Rock Ridge Music for a very fan-friendly price. The live concert DVD was filmed before a sold-out, hometown crowd at the Grove of Anaheim this past January and features 20 classic Reel Big Fish songs, as well as all of the hilarious in-between-song-banter-and-shenanigans that fans have come to expect. The English Beat and Orlando, FL-based reggae/ska punks The Supervillains. The trek kicks off July 3rd in Royal Oak, MI. More dates are being confirmed daily and will be posted on www.myspace.com/reelbigfish. Southern California fans can also catch Reel Big Fish at BuFest in Malibu, CA on Sunday, May 31 with MXPX and Unwritten Law. For ticket info and the full lineup visit: http://www.bufest.com/. 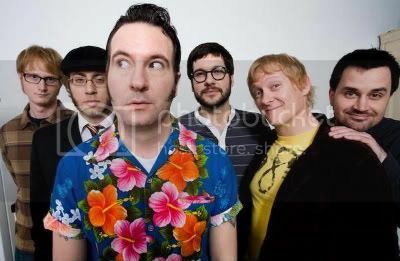 Formed in the suburban garages of Orange County, CA in the early 90’s, Reel Big Fish has gone on to release 6 full-length studio releases, headline countless tours in North America (as well as Europe, Asia and Latin America) and amass combined sales of over a million albums. In other words: these guys are sort of a big deal. On a bright summer morning in 2001, David Moore pulled into the parking lot of an Indianapolis guitar shop. He unloaded his Gretsch guitar, his Fender combo amp, and some various assets belonging to his longtime bands, indie-rock stalwarts, Split Lip and Chamberlain. After a decade of touring the country and parts of the world, Moore and Chamberlain had called it quits. He had decided to cleanse himself from his past by selling off everything, at whatever bargain he could secure. As the years coasted by, David and his longtime wife, whom he met in junior high school, bought a home in Indiana and started a family. David subsequently got him self a nine-to-five office job. But music never fully escaped Moore. He would pick up his old dilapidated acoustic guitar and play from time to time with his country/bluegrass side project, Chevy Downs. Still he wrote songs and poetry of his own, but had settled himself into a simpler midwestern life. Then in the late winter of 2005, longtime friend and Split Lip / Chamberlain collaborator Adam Rubenstein came home to Indiana for an annual holiday visit. The two spoke about music, the common roads they had traveled, and what the future would hold for both of them. At the end of the evening and after a couple of bourbons, Rubenstein revealed his hidden agenda--to get David back in the studio to record an album of his own. A loyal proponent of this plan was Doghouse Records president Dirk Hemsath, who always had felt Chamberlain's success at his company was somewhat marginal. He consented to help finance and A&R the project, and thus the creative process for David's album was underway. Moore and Rubenstein bounced ideas back and forth through email, and would meet up in New York, Indiana or LA to demo various songs. Contributing to this re-invigoration, was Moore's father, who saw his old Gretsch guitar hanging in that same guitar shop window, and repurchased it for his son. However, whereas they were satisfied with the songwriting, the new recordings never felt quite fully realized. The two wrestled with writers block and self-doubt for a couple years until the spring of 2007, when a chance encounter occurred. David was on a business trip layover at the Atlanta airport, when he was approached by a casual acquaintance, a face he loosely recognized. The stranger was John David Webster, a producer and musician from Indiana, who had seen Moore and Rubenstein perform that previous summer. The two quickly became friends when, to David's surprise, Webster revealed his home and studio were just a few short blocks away in the very same housing development. Under Webster's direction My Lover, My Stranger was completed in 2008. It is a lush musical departure for Moore, and its songs are filled with optimism and rejuvenation. From the opening anthem “Breaking You Down,” to the spiritually infused war cry “Jericho,” to the rhythmically rich love song “Corners,” My Lover, My Stranger seldom lets up. Moore's vocals sound weathered and wise throughout, and the music takes on more melodic chances than ever before in his career. Due out this year, David Moore is sure to open some ears, and some eyes as well. * Recently, Moore and Rubenstein have reunited Chamberlain. Having taken the band through a tour of the Midwest resulting in a series of critically acclaimed and fan celebrated shows, Chamberlain may be announcing even more tour dates yet. David Moore solo dates coming soon, including a June 23 Record Release Show at The Living Room in NYC. Boys Like Girls & Gym Class Heroes Co-Headline Festival with Special Guests The Academy Is, The Veronicas, & NeverShoutNever! mtvU, MTV’s 24-hour college network, is heating up the stage this summer with the first-ever “mtvU Sunblock Music Festival,” a four-city Festival featuring the hottest and most buzzed about performers. 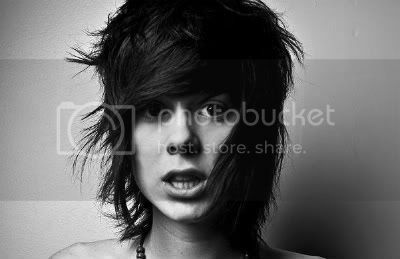 Co-headliners Boys Like Girls and Gym Class Heroes, with special guests The Academy Is, The Veronicas, and NeverShoutNever! are partnering with mtvU and MTV to bring this killer musical event to MTV’s summer-themed Sunblock programming on mtvU, MTV, MTV2, MTV Tr3s, and online on MTV.com and mtvU.com. Boys Like Girls, who won the mtvU Breaking Woodie Award in 2007 and have been in the studio working on their second album, due later this year, will take the spotlight as one of the Festival headliners alongside Gym Class Heroes, who won a 2007 MTV Video Music Award for “Best New Artist.” 2007 Viral Woodie Award winners, The Academy Is, will also take over the stage with their guitar-driven pop-rock tunes. Performing tracks from their hit album “Hook Me Up,” MTV’s New Year’s Eve 2009 co-hosts The Veronicas will also play alongside NeverShoutNever!, a recent mtvU Freshmen winner who previously performed on MTV’s Total Request Live’s “On Your Radar” segment. For more information or to grab Festival tickets, check out www.tours.mtvu.com. Karate High School Wants To Write A Song About You! On May 19th (CD Release Day) Karate High School will post on their MySpace, “One Trip Around The Sun”, the official first single off the new album Invaders. Also keep checking www.myspace.com/karatehighschool for the latest KHS tour dates. Equal parts bluesy rock ‘n roll and cleverly conscious lyricism, Little Foot Long Foot’s May 26th release of Harsh Words is a comprehensive testament to moral tribulation. An album insert recounts the tale of a damsel torn between two loves, while song titles including ‘King Hipster,’ ‘Marriage Ain’t A Promise,’ and ‘Isolation Blues’ provide both visual and emotional depictions of adversity at it’s finest. Following the release of their EP Just About Broke Joan Smith (vocals, guitar, organ) and Isaac Klein (drums) gained success on college radio, multiple best of 2008 lists, all while building their quickly growing fan-base. Recorded at Chemical Sound Studio (Tokyo Police Club, Death From Above 1979), Harsh Words stays true to Little Foot Long Foot’s sound. 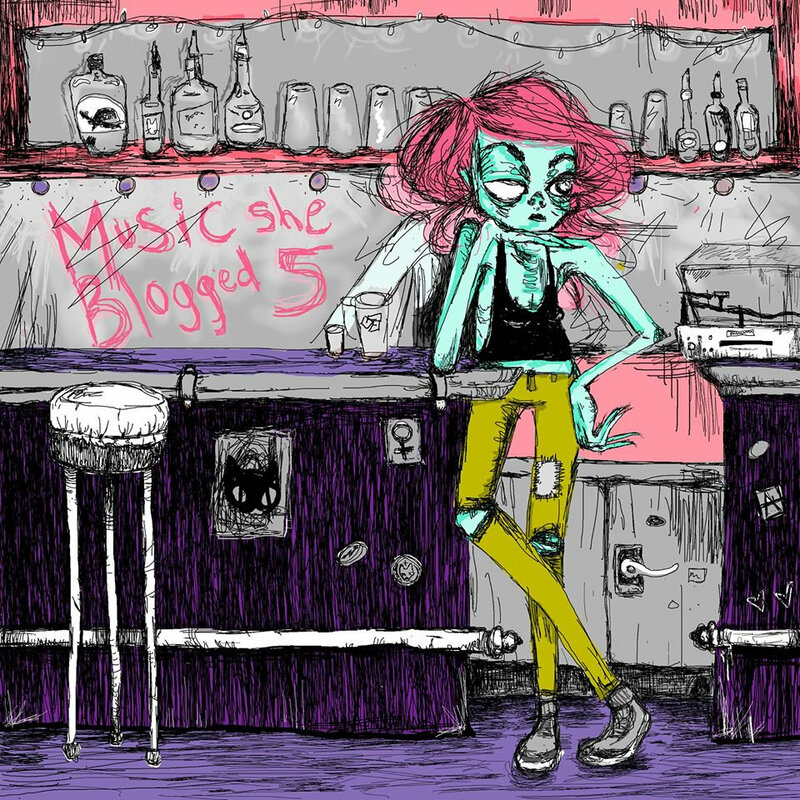 Comparisons have been drawn to Neko Case mixed with L7, Patsy Cline meets The Gun Club, The Gossip, and yeah...The Black Keys. Vote for The Year’s Gone By’s “You Might As Well Be In Space” video on mtvU’s The Freshmen. to watch the video and cast your vote. Votes can be submitted as many times as you want! It also features TBS news, tour dates, photos and video (coming soon!). To embed the widget on your site, copy the code and your good to go! Taking Back Sunday’s “New Again” hits stores June 2nd on Warner Brothers Records. 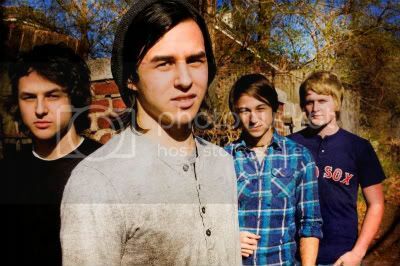 Catch them at Bamboozle this weekend!! Be The First To Hear The New Taking Back Sunday Album -- With The Band! Taking Back Sunday are hitting the eastern part of the US next week, and are offering fans in select cities a chance to hear the tracks from the new album NEW AGAIN--on their bus! All you have to do is simply show up at the locations below! You also might be filmed asking what you thought of the new record, which we are featuring in a documentary on MySpace, so bring your friends!